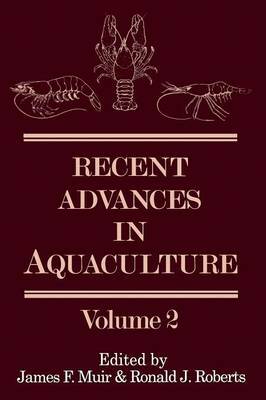 It is a tribute to the vigour of research and development in aquaculture that we are able, in a relatively short time, to provide readers with a second volume in this series, which has such a diversity of high calibre research and developments to report. That the first volume was so well received has been a source of great satisfaction to the editors and supported their conviction as to the need for links to join the research laboratory to the fish farm by making current research available to a wider range of potential users. In this volume. we have changed the balance somewhat towards more specialised subject areas. We make no apology for this. as the modern aquaculture professional is concerned with a wide range of specialisms within the broader content of management and production, and there is every need to present such work in an acceptable format. Furthermore many of these specialised topics have a significance right across the range of production, are often economically criticaL and are therefore of con- siderable and widespread importance. The first contribution. by Dr Derek Robertson, manager of the Institute of Aquaculture's Howietoun Fish Farm, covers just such a subject.